Real estate agents and investors are often faced with a number of foreclosed houses dotting neighborhoods. Over the past several years the amount of these properties has been relatively high, although that figure is decreasing on a yearly basis. 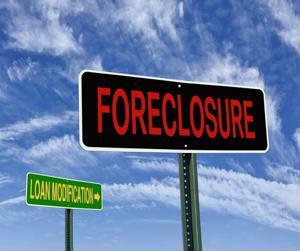 In September there were foreclosure filings for 131,232 U.S. properties, according to recent data from RealtyTrac. That includes default notices, scheduled auctions and bank owned properties. However, that marks a slight rise on a monthly level. Despite the short-term increases, foreclosures have been trending down year-over-year, RealtyTrac noted. September's number of foreclosed houses was 27 percent lower than the same time in 2012, and also completed the third year in a row of decreases. "The September and third quarter foreclosure numbers show a housing market that is haltingly returning to health," said Daren Blomquist, vice president at RealtyTrac. "In a healthy housing market foreclosures are rare but streamlined while still protecting the rights of the homeowner. While foreclosures are clearly becoming fewer and farther between in most markets, the increasing time it takes to foreclose is holding back a more robust and sustainable recovery." While statistics are showing a return toward normalcy, Blomquist added that some local markets may see a jump in foreclosures. Homeowners may still find trouble, and any real estate investor looking for deals could buy distressed properties in certain regions across the country. While thousands of properties in the U.S. are in foreclosure, a number of those have become zombie homes, according to MoneyWatch. These houses have been abandoned by the residents although they technically own them. Therefore, properties fall into disrepair. Real estate investors could save homes like this once they finally become repossessed by a bank. At the moment, zombie homes are dangerous to the community and an eyesore, the news source noted. Ideally, they'll hit the market soon and become available for a flip. Courthouse Retrieval System provides in-depth data for any real estate professional. Knowledge is key to success, and valuable information can help navigate the housing market.